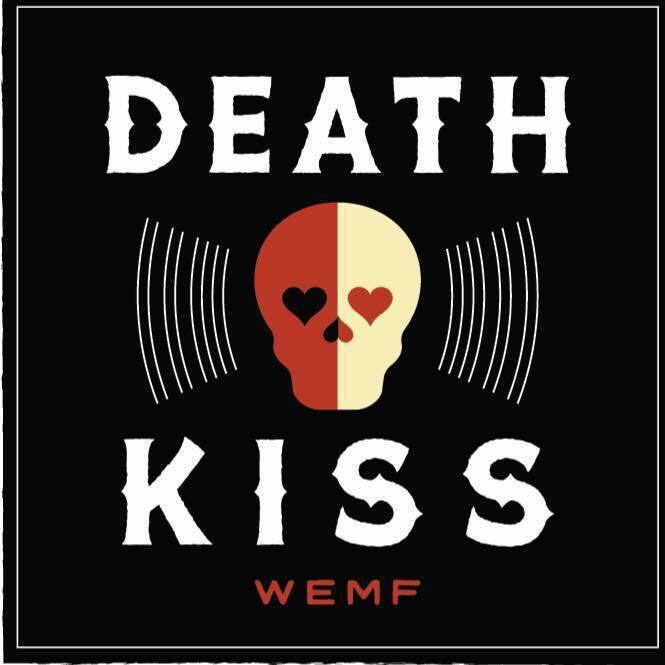 On Friday January 27th, 2017, Swarm of Eyes were the special guests on WEMF radio’s Deathkiss presented by Pino Brothers Ink show. This time around, all five guys hauled it into the studio for an hour of blast beats and banter with their lovely and gracious host, Mary Frances Church. The episode marked Swarm of Eyes’ second appearance on the show as a band, having made their first appearance back in July 2016. It’s also the fourth time that vocalist Randy has joined Mary Frances in the studio, previously serving as guest host to the Massachusetts Mistress of Metal on two separate occasions. What makes five grown men cry at the same time? Which was the very first Swarm of Eyes song to feature all five members recording in the studio at the same time? Why are Jeff and Tommy like the Hatfields & the McCoys? Which band member is the loveable “elected dictator” when it comes to booking? The Perils of Men Wearing Leggings: Can dude booty be juicy? In case you missed the episode in its original run, check out the Deathkiss podcast online or listen to the (not) live (anymore) broadcast on Facebook. Deathkiss presented by Pino Brothers Ink airs every live Friday at 7pm EST on WEMF Radio. Get into it, son!